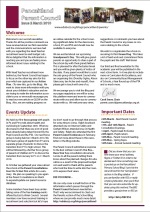 The May 2010 issue of the Parent Council Update is out and you can either read it below or download the PDF and read it at your leisure. There is an exclusive article which will answer many of the questions parents have about the role of the Parent Council in our Q&A below, which does not appear in the print/PDF version. Welcome to our last newsletter for this year. You may have noticed that it has been re-branded as the “Parent Update”. It is a more appropriate name since it includes regular updates from the PTA. We have listened to your feedback and as a result we aim to publish our update with the school newsletter in future so you get the information at the same time. Our AGM is on Wednesday, 16 June – the same time as the Open Evening. So now is the time to start thinking if you want to become involved. If anyone is interested in becoming a parent member on the PC then please let me know directly or via email. On the school’s blog you will now find a Questions & Answers section. If you have any questions please email it to us at the address below and we will aim to publish and provide answers to as many as we can. Any feedback would be most welcome on this. As you may know we have tried to make use of the parent consultation evenings to speak to parents. At the evenings in March we sought feedback on the second newsletter and how best to distribute news to parents, use of the blog, the calendar and other communication methods. Thanks to parents who completed the survey. Though responses were low, the results were very encouraging. The general impression of our newsletters is that they are good or very good, informative and useful. The newsletter is for all parents, so please share your thoughts with us. The majority of parents who responded thought that we should continue to make our newsletters available by email (the preferred option) and the blog, as well as print outs. We will continue to use a variety of methods to communicate with parents but the use of email and blog appears to be increasing and this fits well with the eco values at PPS. The survey results indicated that many parents were unaware of the calendar. We hope that most parents are now aware of, and are using, it. If you haven’t seen it please check it out on the blog. The intention is that this is updated regularly with school, classroom, PC and PTA events so please get into the habit of checking it. We also distributed flyers about how parents can keep informed about what is happening in the school – “Keep Informed About Your School”. These flyers were also distributed by email to all parents and some had been made available at the school reception desk. We hope that parents have found this information useful. Have a great and safe summer and look forward to seeing you in August. Q:What is the Parent Council? A: Parents mostly make up this team which represents the views of parents to the school, but there are also teacher and co-opted community representatives. The Head Teacher also attends meetings and local councillors are invited. It also has a paid Clerk. Our role is advisory and consultative. We input into school policies and plans. We work in partnership with the school and its development plan. We actively encourage the involvement of parents with school life and seek to improve communications between the school and parents. In some schools the PC and the PTA have merged into one body with a sub-committee of the PC taking responsibility for fund-raising. At PPS, the PC and the PTA still remain two separate bodies, both working with and supporting the school. Q: What can parents talk to the PC about? A: Anything to do with the school – sharing new ideas, exploring issues and raising concerns. The Parent Council is not just a place to make complaints. Recently, issues around scheduling of literacy and maths workshops for parents, and distribution of notices to pupils for parents’ attention have been explored; parents have given feedback on PI induction and matters relating to transition from P7 to S1. Travelling safely to school and health and safety issues in the playground are examples of other issues which might need discussing from time to time. Parents can bring new ideas to the Parent Council for consideration such as social events, new ways to communicate or new ways to strengthen links with local businesses. Anything that gets parents more involved with their children’s education is welcomed. After all we now have Curriculum for Excellence and we all want to support our children’s education as best we can. Q: What types of thing does the PC not deal with? The PC cannot deal with particular concerns about a child’s specific needs. If a parent has a particular concern this should be raised with the Head Teacher directly. The Head Teacher operates an Open Door policy and wants all parents to feel they can speak to her at any time. The PC does not have any say in the make-up of the classes, the number of composite classes nor the timetabling. The PC cannot deal with any complaints about a specific teacher or other staff members. The PC has no remit over the After School Club. Q: What is the PTA? A: This is the abbreviation of the Parent Teachers Association. This group organises events and fundraises for the school. The PTA at PPS has set up and helps run the school’s garden and it has organised the After-School French Club. It also organises the annual Fireworks and Spring Fayre. The PTA also pays for important extras that the school cannot. Q:What is the PPS tuck shop? A:The tuck shop is separate from the school canteen. It is operated by the pupils and mainly sells “healthy” snacks – oatcakes, breadsticks, fresh fruit and veg. Wikipedia tells us that the term “tuck” meaning food, is slang and probably originates from such phrases as “to tuck into a meal”. The menu and prices of the school’s Tuck Shop are now published on the blog as we thought this information would be useful to you. The PTA team are in final preparations for this year’s Spring Fayre on Saturday 29th May from 1-4pm. We hope you can find time to attend. Please invite friends and family along to enjoy the afternoon. What do the PTA spend money on? Last year our major spend was on the school garden and two outdoor musical instruments. We also purchased whiteboards and interactive handsets plus other items such as Christmas Crackers for the Christmas lunch, Christmas gifts for the younger children, P1 gym bags and P7 camp gifts. This year, to date, the PTA have spent money on: 3 new picnic benches; replacement bulbs for whiteboards; a camera bird box; 50% subsidy on school trips; Jumpin’ Jaxx (during health week); Golf lessons (for the schoolchildren!) and School speller equipment. 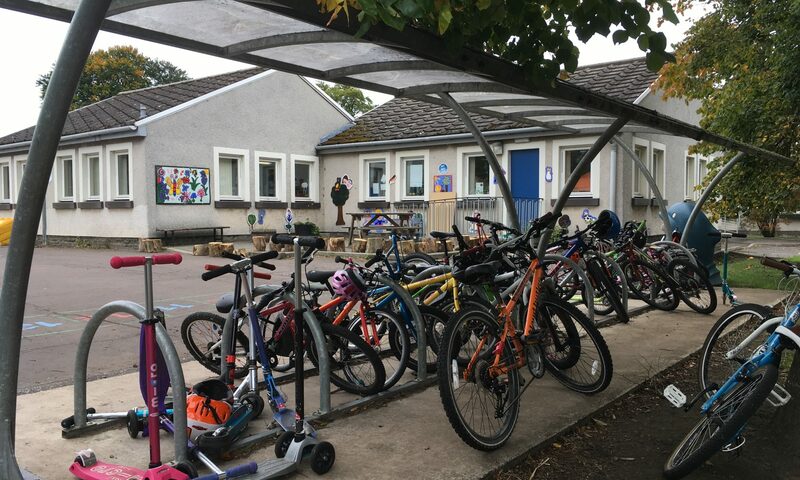 PTA plans for the rest of the school year include repainting the school playground, leaving gifts for P7 pupils and a new climbing frame for nursery. Who puts forward suggestions for PTA funding? Suggestions usually come from school staff meetings where gaps in equipment are identified. Staff then bring requests for equipment to discuss at PTA meetings. Both the PTA committee and the school also receive suggestions from parents/carers and this is something we welcome. Any suggestions can be e-mailed to eilidhandgraham@btinternet.com or handed to the school office marked “PTA Committee”. Finally the PTA committee come up with ideas that are discussed with school staff at PTA meetings. Are the PTA going to pay for the replacement climbing frame in the nursery? Yes. Quotes received so far have just been too costly. We are getting new quotes from other climbing frame suppliers and also looking at alternative playground equipment. If anyone knows a joiner willing to help we’d be very interested so please let the PTA know. Who decides where the PTA money is spent? The PTA committee is made up of parents/carers and two school staff and takes a vote on each suggestion discussed at PTA meetings. The PTA AGM is on Tuesday 14th September 2010. All parents/carers are welcome to attend, ask questions and hopefully join up. What’s happening with the garden this year? The nursery and each school year have their own area to look after and decide whether to grow fruit, vegetables or flowers (or a combination). We hope the skills gained last year by children (and staff!) will make this year’s garden a success. We would like to form a ‘Friends of the school garden’ group to keep maintenance going through the year and to help with watering and weeding during the summer holidays. If you like gardening and are able to help, please email the PTA using the email provided above or call Graham Wilson on 01875 341 021. Members of the PC, along with the Head Teacher, held focus groups in March. One focus group was with parents regarding Primary 1 intake. Two other sessions, one with Primary 7 pupils and another with parents of P7 pupils, was about transition to high school. The majority of feedback from the groups was positive on the transitional processes. The Primary 1 focus group was asked questions about the information they received, the programme of events leading up to the start of P1 including the buddy system, the P1 induction meeting, the literacy and maths workshops, and the learning stories. On the whole, the parents thought that the information they received was relevant and useful and that the general staff approach was appropriate and personalised. One parent asked about arrangements for children who join a composite class and and the Head Teacher has since confirmed that there are arrangements in place. The pigeonhole system and information being posted on the whiteboard in the nursery has helped make communication with parents more effective. The views on the buddy system were mixed. While in general the system seemed beneficial, individual children’s experiences were different. The Head Teacher will be discussing how to improve the system with the staff. The two week period at the start of P1 has been the source of much discussion on the playground. The Head Teacher will seek guidance from East Lothian Council and find out what happens in other schools within the cluster. Watch this space. We will let you know the outcomes of the various discussions. This is an area which the PC may write to the East Lothian Council with a view to providing feedback to their general policy. The P1 induction meeting was thought to be very useful for a number of reasons – meeting the new teacher, finding out class lists, and getting familiarised with the new system. Parents also thought that the booklet about the school was very useful. Parents found the maths and literacy workshops very useful. As a result of the feedback from parents participating in the focus groups and from other comments by parents to the PC and the Head Teacher following the workshops, these workshops will be brought forward in the academic year and be available in the evenings. It will be recalled that while the literacy workshops were held in the evening, the maths workshop was held in the daytime. The discussion also included options for parents who find evening meetings difficult to attend and these included a crèche and having notes available to give to absent parents. These options will be considered and appropriate actions taken forward. When the school improvement plan is being written, workshops will be considered for other classes; at present the workshops are only available to the P1 parents. We hope parents are pleased with this development. The questions for the P7 focus groups centred on the programme of events leading up to S1 in Ross High. Again, the responses from both the parents and pupils were positive. They were aware of the programme of events and happy with the range of events being held. The parents felt the handbook was useful. The pupils were looking forward to High School; they had practical questions about Ross High such as school lunchtimes and getting used to the larger size of the school (and getting lost) but had no big concerns. In particular, the pupils spoke very positively about the activities at Meadowmill as part of the programme. The parents felt the supplied Ross High Handbook was useful but also felt that more information was needed earlier in the year. It was suggested that meeting the Head Teacher from Ross in Term 1 of P7 year would be beneficial. Following the discussion, it was also agreed that PPS could hand out a rough guide of what parents can expect in terms of a programme/calendar of events for transition at the welcome evening held at the beginning of the school year. It was noted that feedback concerning the transition from P7 to S1 would be forwarded to Ross High’s Head Teacher for her information. It was confirmed that as Ross High was Pencaitland Primary’s only cluster secondary school, there were no formal links between the Primary school and other secondary schools in the area. It would be the responsibility of parents to make the necessary arrangements if their child was placed within an alternative secondary school. CFE has been introduced in Scotland to raise standards in education in order to give our children the competitive edge in the jobs markets of the future. It focuses on building learning skills in children which will equip them for life – hence the catch phrase ‘bringing life to learning, and learning to life’. CFE brings real life in to the school, and takes lessons beyond the classroom, with a particular emphasis on literacy, numeracy, health and wellbeing. It promotes interdisciplinary learning, for example the recent volcanic eruption in Iceland and the consequent disruption to air travel could tie in to lessons in mathematics, geography, modern studies and physics classes. CFE encourages a broader, deeper way of learning, and this engages our children because it is relevant, fun, and relates to everyday life. There is a clear role for parents in the CFE, to carry this learning experience on in to the home. Literacy and numeracy skills can be developed via, for example, money, time, measuring and number problems, reading, writing, and understanding instructions. Parents can share in a child’s learning experience by listening and talking about what is happening at school, by encouraging a ‘can-do’ approach, and by praising effort – put simply, by getting involved. By doing things at home, parents can have fun and learn together with a child – this helps the child to understand that there are opportunities for learning all around us, in everyday life. The CFE has been in the news recently as the teachers’ unions are claiming that the majority of teachers in secondary schools are not ready to change to exam courses linked to CFE, and have requested that their introduction is delayed. This request has been denied by the Education Secretary, and industrial action is now being threatened by the teachers’ unions. Whilst there is no immediate effect on our children at primary school, where the CFE is already in place, there may be an impact on their secondary education in due course. Parent Council Newsletter: September 2009.